This project was our response to a competition calling for a public sculpture that would celebrate 20 years of democracy in South Africa. 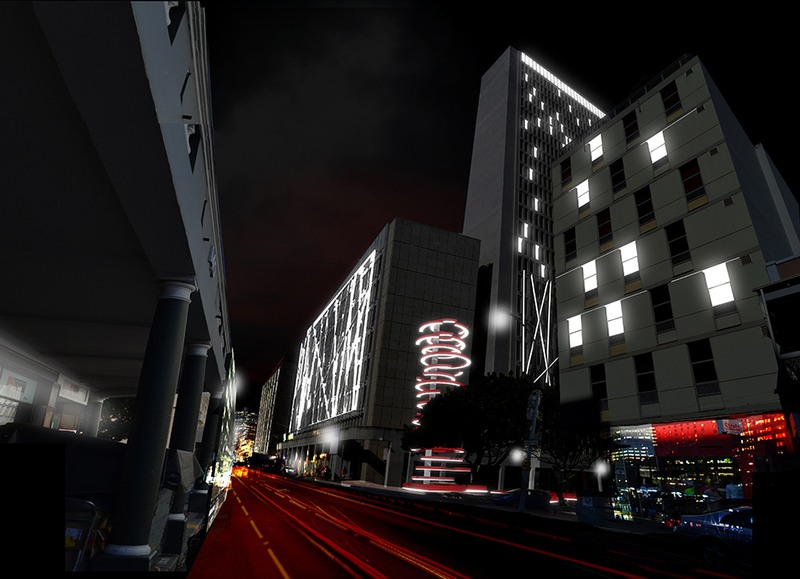 The new sculpture would face Long Street, a busy thoroughfare that cuts through the Cape Town CBD. The new design would be built on an existing podium located in an empty courtyard, adjacent to a government building. Our proposal represents and celebrates the landmark occasion of the first fully democratic elections in 1994 – the first time that all South Africans could cast their vote, regardless of race. This was expressed by a red ribbon that winds through the courtyard as public seating, symbolising the long queues of voters waiting eagerly and patiently in line to cast their first vote. Timelines etched into the benches mark historic milestones leading up to that momentous day. As the ribbon reaches the podium, it extends upwards to form 20 rings suspended in mid-air, celebrating the country’s future and unshackling of its turbulent past. The final result is more than just a symbolic sculpture set on a podium that traces the story of the country’s freedom. It is an active urban square designed for all people to reflect and enjoy.